Because we're all toddlers, apparently. With a feature film, touch bar and dedicated search engine, emojis are having a moment. Now, app developer Novoda has done a study showing that they can even convince you to download apps. 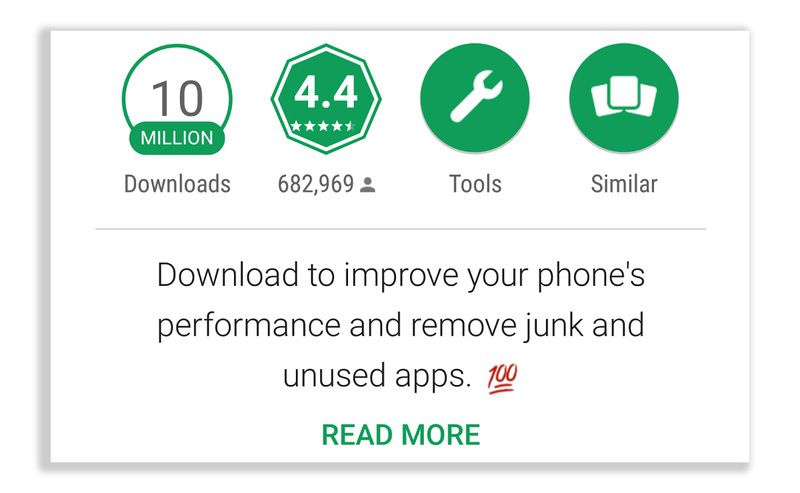 Using the A/B tool in Google's Developer Console, the team tested three emojis (🚀, 🚮 and 💯) in the short description of the popular CCleaner app from Piriform. The group tested each icon with 25 percent of Google Play Store users in various countries, and used none for the other 25 percent as a control group. In Germany and Italy, the "rocket" and "100" emojis icons prompted users to download the app over 20 percent more often than the control group. Poland, bizarrely, showed a propensity for the "litter can" emoji to the tune of about 7 percent. Novoda's takeaway is that "app store optimization has real and measurable effects on [developer's] revenue," it writes. However, that doesn't apply across nations, and users in different countries prefer different emojis. "Localize your tests to get better results," it advises. We'd be curious to see if they get the same results in a year or two -- by then, the trend might have wound down, and Patrick Stewart may be having regrets.